Parlors have long been used for family occasions, including weddings, and Uptown Bridal & Boutique's sitting parlor allows a bride and her guests to gather in a cozy space before the beginning of the group's private appointment. Amanda Cover (left) opened Bombshell Bridal in 2011 with her sister, Amy Krizanek. Cover was inspired to open the plus-sized bridal boutique after enduring a frustrating wedding dress search of her own. In moving to their new location in a nearly 90-year-old Chandler, Ariz., home last year, Uptown Bridal leadership elected to keep the working kitchen intact. A gathering spot for visitors to enjoy food and beverage, the kitchen characterizes the warm, familial feel of the bridal shop. When Amanda Cover searched for a wedding dress in preparation for her 2005 nuptials, the plus-sized bride endured a disheartening experience. Few stores had anything for her to try on and one boutique’s boorishness reduced Cover to tears. “It never occurred to me that being plus-sized would be so problematic,” says Cover, who eventually purchased her wedding gown on eBay. That underwhelming experience combined with hefty doses of empathy did however spark Cover’s entrepreneurial instincts. She recruited her sister, Amy Krizanek, into an adventure to create a plus-sized bridal shop, researched the marketplace and assembled a business plan. 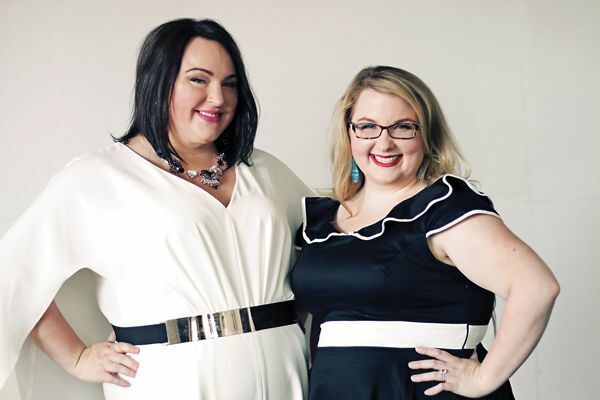 In 2011, the sisterly duo launched Bombshell Bridal in St. Clair Shores, Mich. 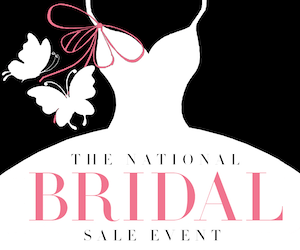 In the subsequent years, Bombshell Bridal has served brides from all 50 states, doubled its size from 1,500 to 3,000 square feet (with another potential expansion looming) and shared its founding story with anyone willing to listen – during appointments, at bridal expos, on the store’s website, in media interviews and on social media. When it comes to branding (and sales), stories matter. A compelling brand story inspires and resonates with consumers, who tend to relate better to true, lived experiences than static facts and marketing jargon. And in a competitive, crowded retail sector such as bridal, a rich and memorable story can differentiate your business and engage customers on a deeper, more personal level, giving your store a better chance to resonate with its brides. 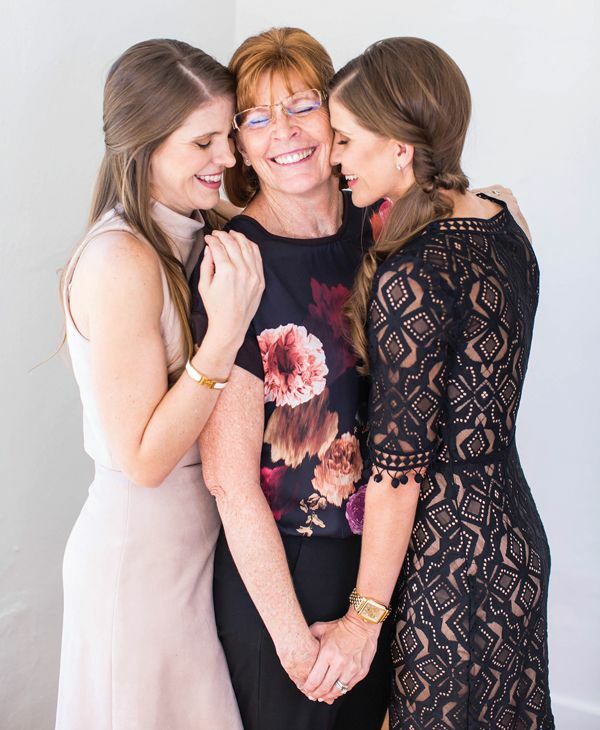 “People connect to personal background and emotional stories, which are often tied closely to people’s hearts,” says Nicole Gould, co-owner of Uptown Bridal & Boutique in Chandler, Ariz.
And Gould knows that truth well. In 2007, she opened Uptown Bridal with her identical twin sister, Tonia Tinker, and mother, Dianne Everson, two years after both sisters were engaged and married. While sharing their wedding journeys together, the sisters noted how the wedding planning process connected them to each other and deepened familial bonds. That “magical experience,” Gould says, inspired the sisters and their mother to open Uptown Bridal. “There was something so special about watching each other become a bride and we wanted to continue that feeling for other people as well,” Gould says. 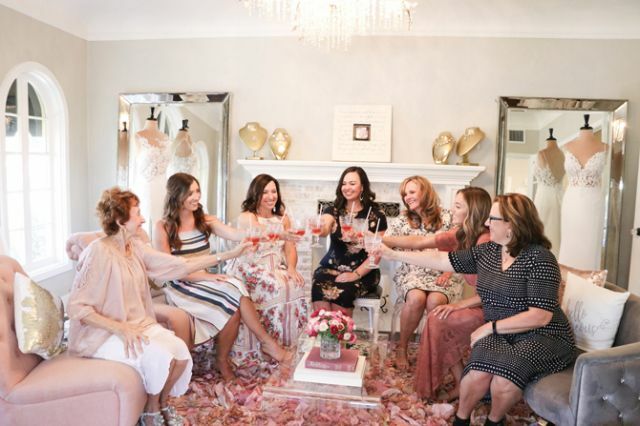 That story – of walking the wedding adventure side by side as sisters and family members – has become central to Uptown Bridal’s public image, its operations and its 11-year run. “It’s at the root of just about everything we do,” Gould says. At Uptown Bridal, at Bombshell Bridal and at savvy bridal retail shops across the country, the brand story defines the retail operation’s space in the marketplace, transforming a tangible product into something with character and emotion while sparking personal connections and trust. 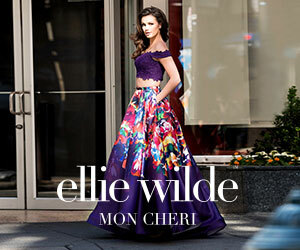 That drives traffic as well as word-of-mouth buzz and referrals, the lifeblood of the wedding industry. Moriarty advises her clients to weave their personal brand story through multiple parts of the customer experience. The About Us page of your store website represents an obvious – and traditional – platform to share such a story, but is far from the only way you can communicate your backstory and purpose. From the physical environment to social media to operations, you have ample opportunity to – both directly or indirectly – reinforce your brand story with customers. Moriarty suggests beginning by reviewing all the different touchpoints you have with customers and brainstorming pragmatic ways to incorporate elements of your brand story into those interactions. “Once you have a sense of those spots, challenge yourself to think outside the box to … create an element that is really memorable or truly stands out to customers, where you know they won’t forget about it after walking out of your store,” Moriarty says. In the physical environment. . . In January 2017, Uptown Bridal moved into a nearly 90-year-old home in Chandler. Shifting locations, however, was about more than a new address and 3,000 square feet. Moving into the historic home also gave the Uptown Bridal ownership trio a chance to more fully embrace and live its story, one deeply connected to family. Rather than retaining the home’s historic exterior shell and transforming the interior into a more traditional retail space, Gould, Tinker and Everson largely retained the interior footprint. Guests can walk into the working kitchen to enjoy food and beverage, for instance, while a bedroom functions as the bridal suite. The building remains a home because that’s entirely the feeling Uptown ownership desired to create. The Uptown Bridal story weaves into operations, underscoring the family narrative. The store, for example, only books one private appointment at a time. The private appointments, which Uptown calls “Celebration Consultations,” include complimentary food and drink as well as a professional photographer capturing images of the day. At Bombshell Bridal, the brand story, so rooted in empowering women and providing all women the dress-shopping experience they deserve, is similarly incorporated into operations and service. The boutique’s sisterly co-owners, for instance, stock dresses in sizes 16-34 – “We exist because brides want to try things on in their own size,” Cover reminds – charges staff to answer brides’ questions without judgment and favors semi-private appointments that create a spirited, celebratory atmosphere. Bombshell Bridal also hosts a polycystic ovary syndrome support group in its store, further driving its all-in-this-together vibe into the hearts and minds of its core audience. “I feel we were put in this position to help empower other ladies and that’s what we try to do in different ways,” Cover says. As owners are seldom able to touch every customer who walks into the store, staff must also understand the brand story and know how to represent it to customers. Moriarty suggests documenting your story and sharing it with new employees. This, she says, will help staff better understand the brand and the message and values that are important to convey to customers. Thereafter, Moriarty says it can be helpful to have staff understand their own motivations for working at the bridal store and, in particular, those that dovetail with your overall brand story. The shared sense of purpose can then be weaved into communications with customers. On social media. . .
On social media, Gould and Tinker regularly share their “twin story” and Uptown Bridal’s roots as a family business. Rejecting stock imagery, the shop’s Instagram page is peppered with photos of Gould and Tinker together and brides celebrating with their families, including one particularly stirring photo of a brother “proposing” to buy his twin sister’s wedding dress. “Sharing images like these further connects all of us as family and as a business that cares about its clients,” Gould says. Bombshell Bridal, meanwhile, oversees a “secret” Facebook group solely for its brides. Members of the group swap vendor recommendations, show off their dresses and trade questions about the planning process, which fosters a deeper sense of community and ties brides together. “These girls want feedback from others like them,” Cover says, adding that the group is also a fabulous marketing resource for Bombshell Bridal as well.